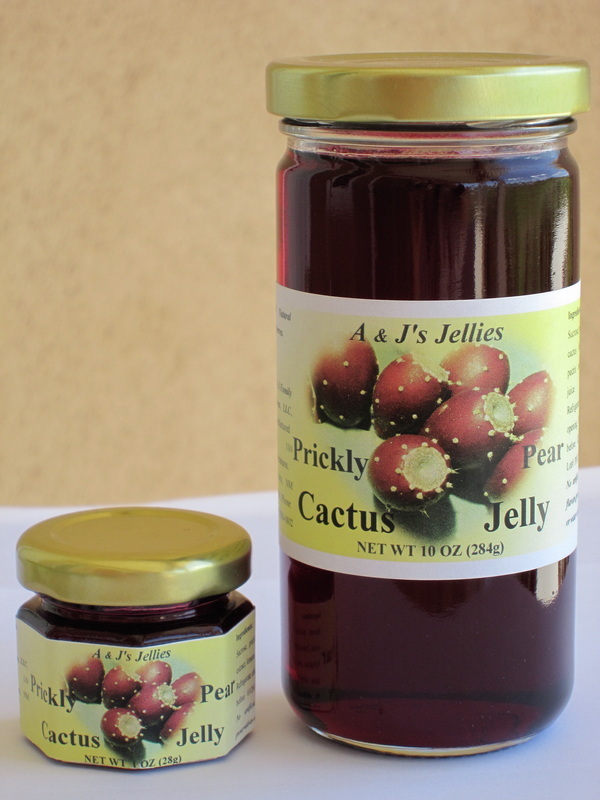 Our prickly pear cactus jelly is made from the fruit (tunas) of the prickly pear cactus. The tunas we use are large, pear shaped tunas with a dark maroon color. The jelly has a clear, dark color with a delightful berry like flavor. Because we make it in relatively small batches, it does not loose color or flavor. 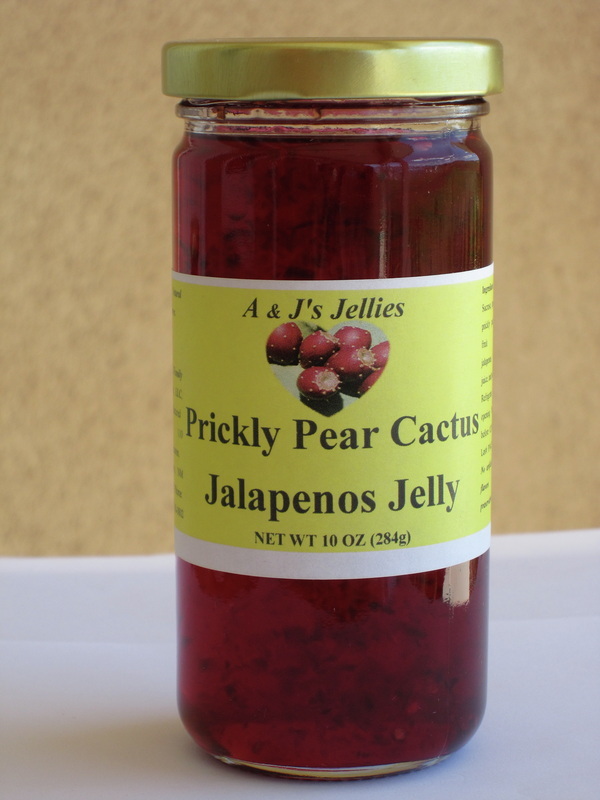 The taste is just like prickly pear tunas plucked fresh from the prickly pear cactus, but without the spines. The color of this jelly is perhaps the most enticing jelly you have ever used. Its taste matches the color. The jelly is great on toast, bagels, and English muffins. It spreads nicely on pancakes and waffles. It makes a great peanut butter and jelly sandwich. We use it as a glaze on some cookies and mix it with cream cheese. Prickly pear cactus jelly glazed pork is fantastic! Price listed including shipping cost. As with the mesquite jellies, we added red chile to the prickly pear cactus jelly. However, the color was so dark that it was difficult to see what was in the jelly. We needed to cut the color, but did not wish to loose any flavor, so we cut the color with apple juice. Hence the name of the jelly became prickly pear cactus apple red chile jelly. 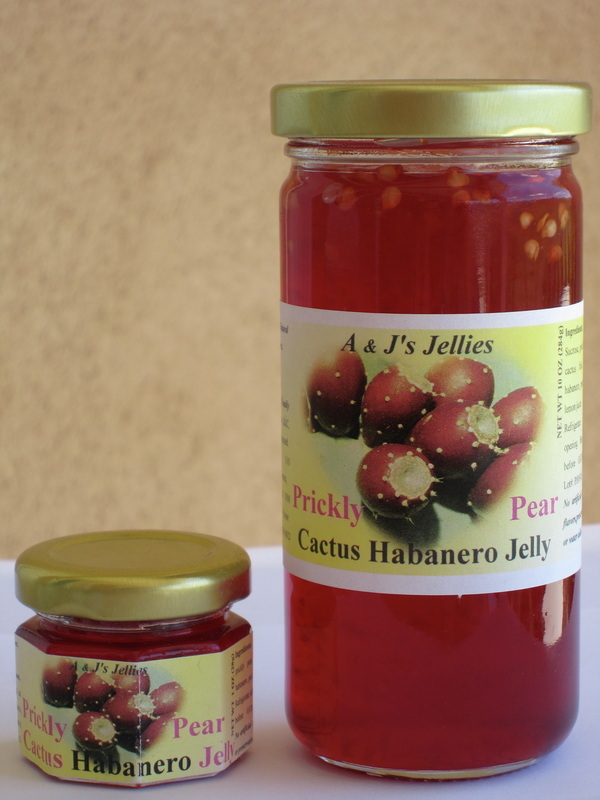 A panel of judges from the Fiery Foods Magazine gave this jelly an excellent rating on all categories related to the quality of the jelly. 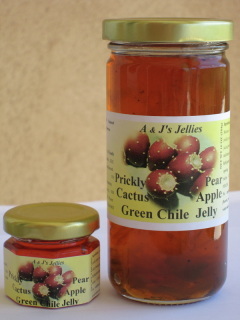 We use it as would the plain prickly pear cactus jelly. It adds a perfect spicy touch when mixed with cream cheese and spread on crackers. Price listed including shipping cost. The addition of Hatch green chile to our prickly pear cactus jelly was the next adventure. Yum! This jelly maintains the delightful taste of the prickly pear cactus jelly with a warm, not hot, green chile flavor. 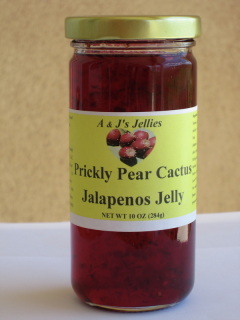 We use it as with other prickly pear jellies. Price listed including shipping cost.